Irctc ewallet service is newly launched scheme under which a user can deposit money to their Irctc ewallet in advance. So while booking user can use this money to book their ticket. To use this service user need to register for Irctc eWallet first. 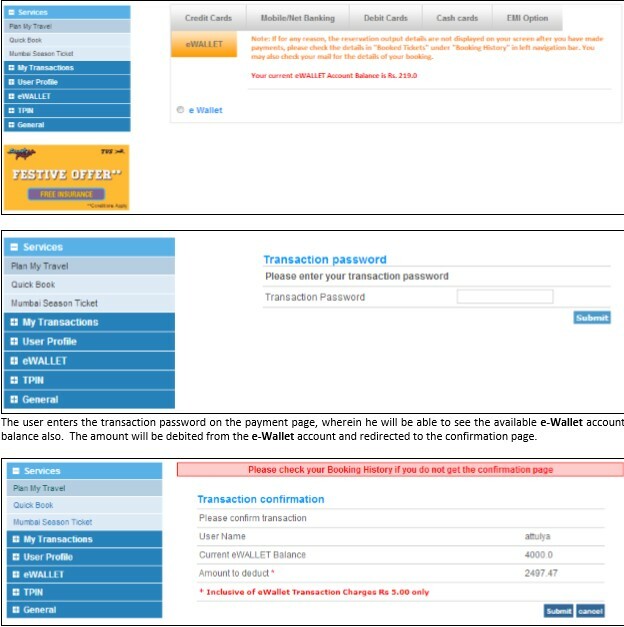 Here i will Tell you complete procedure of Irctc ewallet Registration. There are some limitation and requirements of Irctc ewallet service. You must read this completely before registering for Irctc ewallet. You cannot use irctc ewallet to book your tatkal ticket or 8 Am to 12 PM of booking hours. 2. You will find a link for eWallet Registratin on plan my travel page. 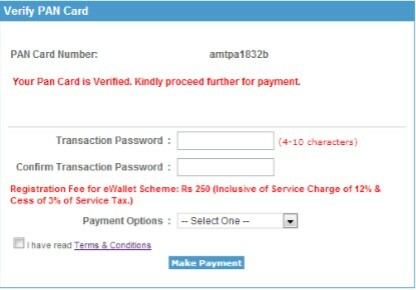 Enter Your PAn Card Number and Card Holder name and then click on Verify Button. Now create your Transiction Password by entering it here and then select your payment option and Tick on term and condition option. Then Pay the Registration Fee of Rs 250 to complete the registration process. Login to your account with your username pasword. Now click on the link ” ewallet Deposit ” in the left side of navigation bar. Now enter the amount (min Rs 100 and max Rs 10000) and enter your payment option. Now pay with your debit/ net banking. and then Enter your Transition Password to confirm Payment. That’s it , now you can easily book your Irctc tickets with this eWallet service and it is quiet faster then the normal booking through other payment gateway. And there is very less chance of payment failure as here we are on same site. We are not redirected to payment gateway site for payment. You can also use Irctc Paytm wallet for your train ticket booking, its easy and fast and has no registration fees and you can also get discount on your ticket. One more advantage of this irctc ewallet service is less transaction charge. here you will charged only Rs 5 per booking, which is comparatively very less as booking through debit/net banking.